This was surprise book post this week and I was thrilled when I opened it. Firstly, it has a stunning cover, and secondly, the synopsis sounds brilliant. I hope to get a chance to read this in the next couple of weeks. This was the gorgeous book post that arrived on Thursday and I was so happy to receive it. I really want to read this one soon as it sounds so good. A deeply compelling novel set in 1960s suburban America for fans of The Engagements and Tigers in Red Weather. I’ve had this book on my wish list for a while so when I saw a NetGalley email yesterday that it was available as a Read Now book I immediately went and downloaded it. I really want to read this soon. Also, isn’t is another gorgeous cover?! As Ma and Alex make their way from Virginia to California, each new state prompts stories and secrets of a life before Alex. Together they put to rest unsettled scores, heal old wounds, and search out lost friends. But Alex can’t forget the life they’ve left behind. I can’t remember how I heard about this book but I’ve had a request pending on NetGalley for a couple of weeks now so was really happy to get an approval email this week. The book’s not out for a couple of months so I’m going to try and leave this one for a little while as I have other review books to read that are out sooner, but it’s going to be tough resisting it. This is another NetGalley book and I’ve already started reading this one. I have to be honest that the book isn’t exactly what I thought it was going to be when I requested it, but I am enjoying it and it’s holding my attention so far. I’ve seen this book reviewed on some of my favourite blogs recently so I was unable to resist buying a copy on release day! I really like the sound of the plot and don’t think this will be on my TBR for very long. “Meet Rachel. She is caught in a spiral of endless crying, dirty nappies, and sleepless nights. She fears for her sanity – and the safety of her children. A lovely blogger, BelleUnruh, mentioned this book in a comment on my post last week and when I looked it up I decided to buy a copy right away. It sounds like an emotional, but very life-affirming book and I’m sure it won’t be on my TBR for very long. This entry was posted in Blog Post, Books, ebooks, Stacking the Shelves and tagged Books, ebooks, Hayley Mitchell, Jeff Zentner, Jill Santopolo, Lene Fogelberg, S.J. 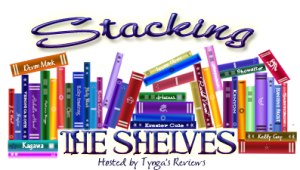 Skuse, Sara Taylor, Stacking the Shelves, Susan Beale. Bookmark the permalink. I’ve got Sweetpea to read, I love dark humour so I’m looking forward to reading that one! It does sound really good, doesn’t it? You have a nice lot of books there, Hayley! I’ve been hearing about Sweetpea; it sounds like a quirky take on the kind of person who murders. I’ll be really interested in what you think of it when you’ve read it. So many great looking books on your list! I have Goodbye Days on my wishlist. Sweet Pea sounds like it is going to be really good too! Hope you love all of your new books and have a great weekend! They do have lovely covers, don’t they? Wow!! I want to read all of them but I’m going to start with Beautiful Affliction! I’d not heard of Beautiful Affliction until it was recommended to me but I’m really looking forward to reading it too. I hope you enjoy it too. These all look so tempting…especially Sweet Pea and The Good Guy. Enjoy! All of your books are new to me, meaning I haven’t heard of them before. Hope you love all of them. Nice haul! Sweetpea sounds awesome! The cover of The Light We Lost is absolutely stunning! I hope you’ll enjoy all the books you got! Happy reading! Thank you 🙂 It’s a gorgeous cover, isn’t it? I can’t wait to start Sweet Pea, it sounds so good. Looks like a good haul! I love looking at new titles and their book covers! There are! It’s like book covers are their own industry! Your Saturday posts are so so bad for my Amazon account, hahahaha! I love the sound of Because I Was Lonely. As ever, an interesting and diverse haul of books to get lost in. I hope you enjoy them Hayley:). I hope you enjoy Goodbye Days. It’s super sad but Jeff is a great writer and he evokes so many emotions in a reader 🙂 Fabulous haul! I bought, “Crossroads,” by Wm. Paul young. He is the author of, “The Shack,” which I thought was a beautiful book. I just started it; Im not sure if I’ll like it as much. Time will tell! I hope you enjoy Crossroads. I read The Shack a long while ago and didn’t know the author had another book out. Almost finished with The Light We Lost! I’m looking forward to starting that one. I hope you’ve enjoyed reading it. It was so good! I just finished it yesterday. I hope you get to it soon!